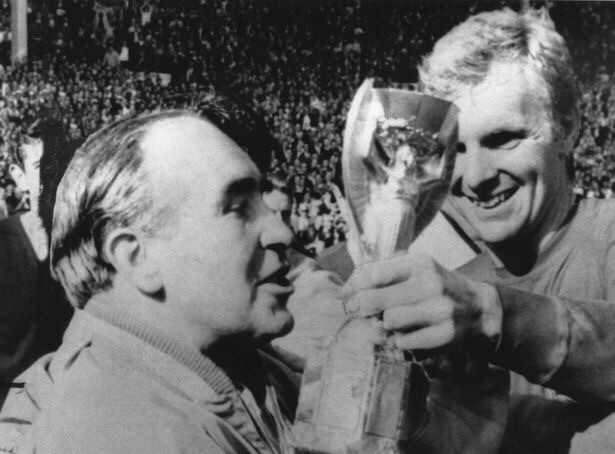 “We will win the World Cup in 1966,” declared a pre-knighthood Alf Ramsey after he was appointed England manager during the 1962-63 season. He would ultimately be proved right, but at the time he was sticking his neck on the line with such a proclamation – irrespective of the fact the nation had home advantage in 1966. As we recently recalled, Ramsey had not even been first choice for the job with veteran player Jimmy Adamson turning down the opportunity. It was the start of an uneasy relationship between Ramsey and the FA hierarchy. For Ramsey, the size of the task in front of him was clear from his first game in February 1963. Away to France in a European Nations Cup qualifier, England were crushed 5-2 and eliminated. Although the conditions were poor and many players were short of match practice following the Big Freeze, it was a night that emphasised the side’s shortcomings. “Do we always play like that?” Ramsey asked captain Jimmy Armfield, who assured him they didn’t. “That’s the first bit of good news I’ve heard all night,” Ramsey responded. 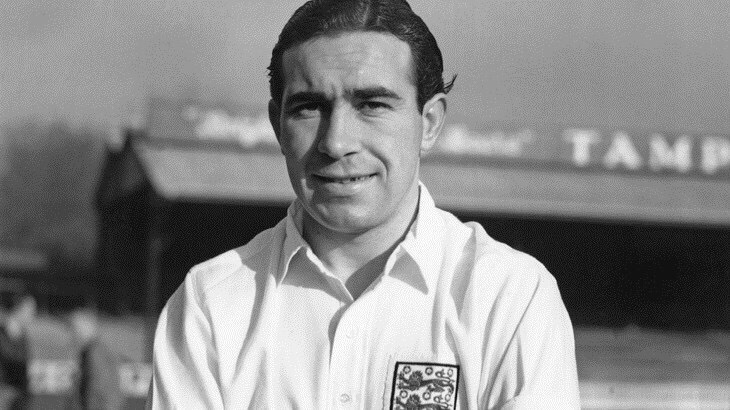 Alf Ramsey during his England playing career. He had work to do and just two players from the side would go on to play in the 1966 World Cup final, while a defeat at home to Scotland in the following match confirmed this was going to be a tough mission. The 1953 home mauling by Hungary – with Ramsey in the side – had shown England were no longer the world leaders in football they believed they were, with several underwhelming World Cups compounding matters. Pessimism had set in. But Ramsey had belief in himself and what was available to him. He had played for his country and as a manager had defied all expectations at Ipswich Town, hauling them from the Third Division to the First Division and then surprisingly winning the championship at the first attempt – one of the few English title wins comparable with Leicester City’s incredible Premier League victory in 2015-16 – with a system that opponents struggled to suss out. Now he was pronouncing that England would win the World Cup in 1966, a claim that was met with scepticism – not least because England had never previously been beyond the quarter-finals and were hardly invincible outside the tournaments either. Kevin Keegan, who briefly figured under Ramsey near the end of his reign, would also tell of a different man to the media image. “He’s different when he’s with us. He’s a great fellow,” he said shortly before Ramsey departed in 1974. There were countless other examples too. Ramsey could relax in the company of players and he understood them. Bar perhaps the odd Maverick player who resented being overlooked, almost every player would speak with affection for Sir Alf. 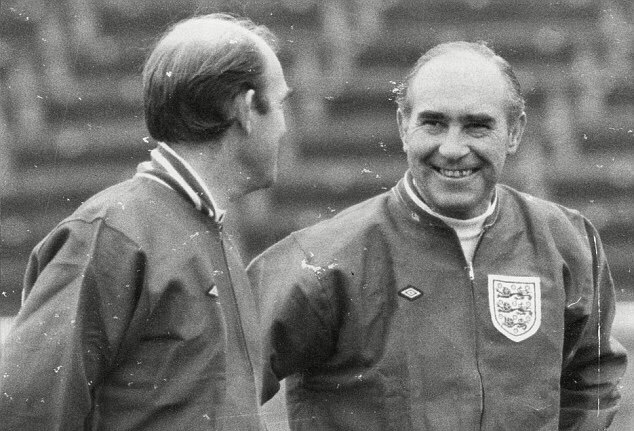 Sir Alf Ramsey with a smile while leading England. It would jokingly be recalled by the other players as a putdown to Charlton, but there was also a serious message. Ramsey believed more in choosing players to fit a system than attempting to pick a system to accommodate the best 11 players. It’s hard to imagine he would have fallen into the trap of always trying to select Gerrard and Lampard together. The 1966 World Cup saw Ramsey continually make good use of his man-management skills, as well as applying his tactical nous. Most famously he would deploy his ‘wingless wonders’ system in the three knockout matches, a formula that had proved successful the previous year away to Spain. It may have been a departure from the more conventional systems, but it worked for England. For Ramsey there were hints throughout the 1966 tournament of the strength of his ability to handle players correctly. The first concerned Nobby Stiles committing a bad tackle on France’s Jacques Simon during England’s final group game, with Ramsey facing calls from some members of the FA to drop his midfielder. Ramsey, who had previously ensured the archaic selection committee was done away with, threatened to walk away if he was given orders about who he could or couldn’t pick as he again had reason to resent the FA. Thankfully, Stiles stayed in the side and Ramsey remained in charge. He may have sparked controversy with his comments about Argentina after England beat them in the quarter-finals (he was not perceived as a lover of foreigners), but behind the scenes he provided a calming influence when tempers flared between the players afterwards as the beaten South Americans vented their anger. “This does not leave this room,” he told his side, reminding them that Argentina were on the plane home while England remained in the World Cup. Most frequently remembered are his words to his players after West Germany had scored a heartbreaking equaliser in the last minute of the World Cup final. Victory had been snatched away from England and there was a danger the psychological advantage had been handed to the Germans. But Ramsey, spotting some German players sat on the turf, ordered his men to stand up and send out the message they were more ready for the rigours of extra-time. “You’ve beaten them once now go out and beat them again,” he famously said to his team, with the players duly responding by winning the match and tournament. The manager may have appeared unemotional at the match’s climax, but he would surely have been filled with pride when the crowd chanted his name during the celebrations. He would not receive a medal during his lifetime, but he did get to hold the trophy during the celebrations. Joy for England and Ramsey. 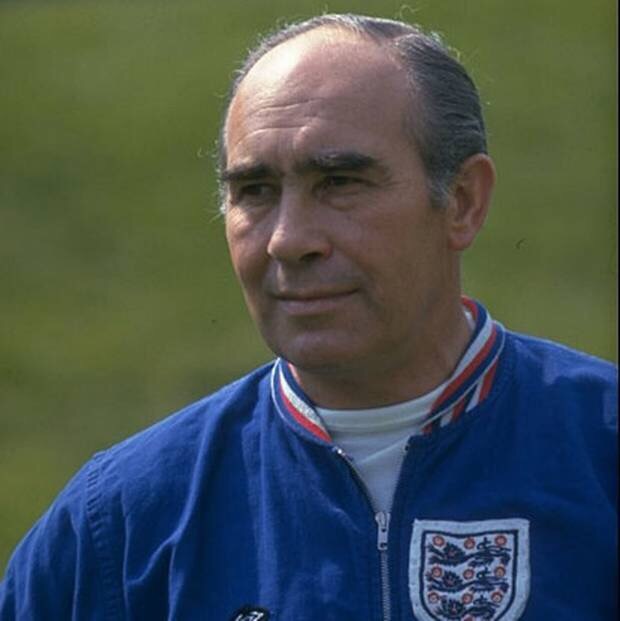 Ramsey had put his neck on the line with several decisions along the way – proclaiming England would win; standing by Stiles; opting to play without a winger in three matches; selecting Geoff Hurst over Jimmy Greaves for the final – but he had been rewarded by seeing his side triumph. England may have lacked flair but they had achieved glory, something that the subsequent 50 years has shown is far from easy. 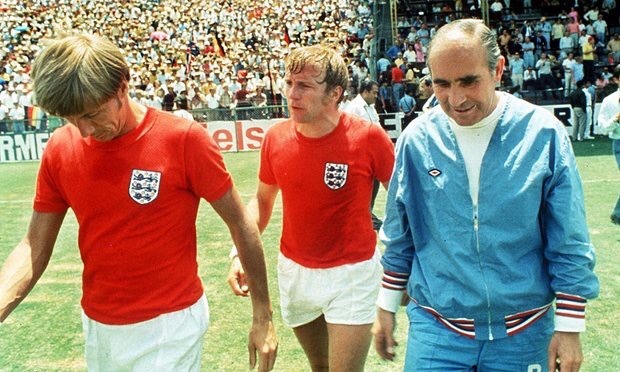 Ramsey would spend eight more years in charge of England but he could never replicate the glory of 1966. Each tournament brought a sense of having taken a step back. Semi-finalists in the 1968 European Championship; going out to West Germany in the 1970 World Cup quarter-final after leading 2-0; being outclassed by the Germans in the 1972 European Championship last eight; and then the ignominy of failing to qualify for the 1974 World Cup. Ramsey had been the first man to lead England to World Cup glory; now he was the first to fail to qualify for the World Cup. His sacking was a sad and unfortunate ending after such a glorious peak was reached earlier on. The 1970 World Cup ended in disappointment, with worse to follow. With hindsight at least, he probably should have stepped down after the 1970 finals when his record was still relatively unblemished and the loss to West Germany was largely written off as a fluke at the time. Ramsey had felt a strong bond with most players in the 1960s but would have far less in common with the Mavericks who defined the 1970s – players he was reluctant to select, as critics felt he was again overlooking flair. His ability to use substitutes – which hadn’t been an option in 1966 – would also be considered a weakeness. He was perceived as having acted too prematurely in making changes against West Germany in 1970, of leaving it too late against Poland in 1973. The game was changing along with the personalities in it and Ramsey no longer seemed such a natural figurehead. Ramsey had his critics even during the glory years, his style of football seen as functional rather than flamboyant. It was a situation not helped by his unwillingness to go out of his way to help the media. But the World Cup exit in 1970 saw the vultures start to circle, Ramsey being met by a barrage of media men as he arrived home from Mexico. He snapped, taking particular exception to the usual comments about his distant public image. “I’M BEING RUDE? I don’t there’s a word that’s been invented that would describe the mannerisms of some of the people I’ve been confronted with. And yet I’m rude,” he fumed, clearly exacerbated by the line of questioning. It was a relationship that had never been easy and unfortunately it wasn’t going to improve as England continued to decline during the 1970s. Even after he died in 1999, Ramsey would attract the occasional spiteful article. Probably the most contentious was written by historian Frank McLynn in The Observer Sport Monthly in 2005, cruelly branding Ramsey a “humourless boor”, describing him as “the epitome of negativity” and claiming his “legend far outstrips his actual achievement”, believing England’s 1966 triumph owed much to key decisions going in their favour. It was the sort of damning view that many of the Boys of ’66 would be quick to hit back at. Ramsey may not have endured the level of personal attacks during his reign as some of his successors such as Graham Taylor, but he got the first taste of the way things were going. In later years Ramsey cut a fairly reclusive figure in English football circles – apart from a brief spell in caretaker charge of Birmingham City – although the TV cameras would sometimes spot him in the Wembley crowd at England matches. His sacking in 1974 had evidently left a sour taste and led to a detachment from the Football Association, with senior FA director Sir Harold Thompson seen as pivotal to his dismissal. The axed manager would say: “He would always refer to me, even to my face, as Ramsey, which I found insulting.” Ramsey’s relations with some senior FA representatives had seldom been easy, with successor Don Revie enduring many of the same problems with Thompson (who soon became FA chairman). Perhaps still reeling from the manner of his departure, Ramsey seemed unwilling to share the limelight with his players from 1966. He was the one significant absentee during the retrospective Summer of ’66 BBC series in 1986, despite presenter John Motson making a personal visit to his home to try and lure him to share his memories. He did though offer his thoughts in a tabloid newspaper on contemporary matters, incurring the wrath of Bobby Robson with criticsms of England and their manager ahead of the 1986 World Cup. It was a surprising thing for Ramsey to do given he had been so suspicious of the press during his own managerial career and a bemused Robson hit back at him in several books he penned – his frustration heightened by having been thwarted in his attempts to meet with his near-neighbour to get advice about managing England in a World Cup in Mexico. It was a sad episode between two men whose managerial paths contained plenty of parallels, given the sides they managed. Sadly in later years Ramsey was struck down with Alzheimer’s disease. When he died in April 1999, there was sadness over his death but there didn’t seem to be the same widespread mourning among football fans as when contemporaries such as Matt Busby, Brian Clough and Bill Shankly died, nor Ramsey’s England captain Bobby Moore. But the players who served under him felt his loss, many of them attending a memorial service in Ipswich. Ramsey may not have been an easy man to get to know and some seem to remember him as much for his clipped accent as for his managerial achievements. But that didn’t stop many in English football feeling a great attachment to him and respect for what he did. Fifty years ago he built an England side that won the World Cup, something nobody else has done. Every England fan should be grateful for what was achieved back then. Sir Alf, we salute you!